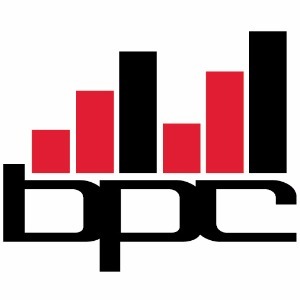 BPC Performance Coaching BPC Performance Systems, LLC. Are you short on time and high on goals? Balancing your life schedule with a training plan that delivers results is what we do. 90% of our athletes are working professionals with crazy life schedules that require focused workouts to maximize minimal training time. We are a one stop, time saving, performance maximizing, endurance sport company. Feel free to check our bio and visit our website for free training tips and more information about how we can bring clarity to your chaotic schedule. You have a goal. A desire to be a better person tomorrow than you are today. But you're busy. Life, family, work, it eats up your time. It's time you stop wasting time thinking about WHAT you should be doing to reach your athletic goals, and spend that time putting it into action. That's what our plans are designed to do. Guide you to your goal, help you get results, and not waste a bunch of your valuable time getting you there. Not sure if a pre-built plan or custom coaching is right for you? Just follow this link, fill out the quick questionnaire, and book a short call with us. We'll run through your goals, where your at, and guide you in the direction that is right for you and your budget. Together, the BPC team has over 30 years experience in sport, fitness, and sport performance training. We still train and compete in various sports ourselves, and will continue to do so because it is our passion. Our coaches hold a number of certifications and coaching licenses and we continue to further our education in the realm of health and human performance on a daily basis. To this day we have had the pleasure to work with hundreds of athletes from many different ability levels and sporting backgrounds. We never shy away from a challenge, and look forward to helping you reach your fitness, health, and sport performance goals. Success. Coach BPC Performance Coaching has been notified of your message.